Expires in 1mo . Last validated 3wk ago . Used 11 times. David I am re-activating this deal works as described. 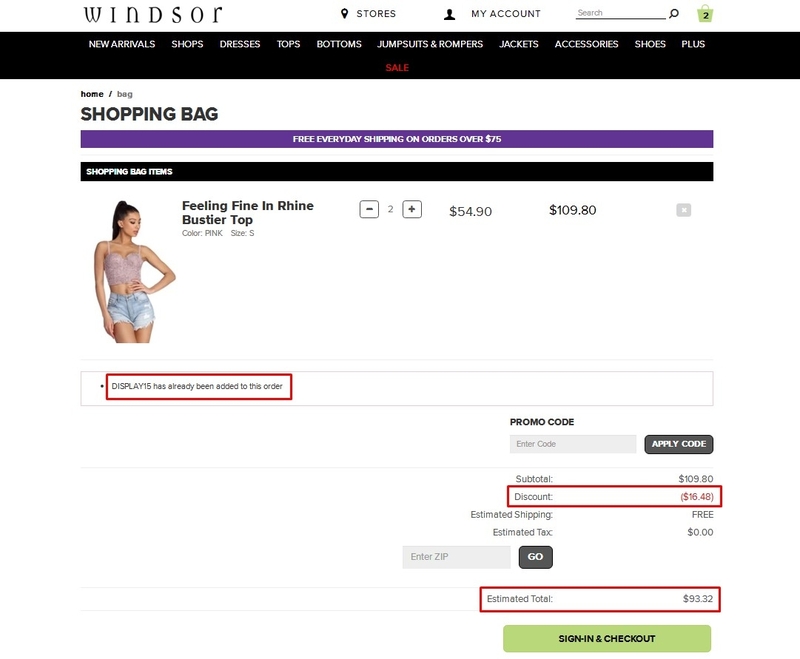 Just go to the online store, add the items you want to buy to the cart, at the time of finalizing your purcharse copy and paste this code to get 5% Off Your Next Order at Windsor (Site-Wide). raul I am validating that this deal works as described. 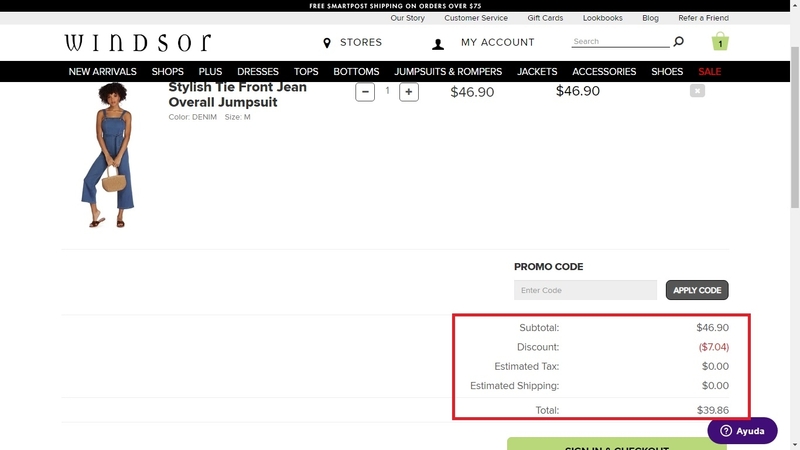 Just go to website, search the item(s) that you want, add to the shopping cart, apply the promotion code: Display15, proceed to checkout, and get the discount. There may be some exclusions. @dealsadvocate As of 1/2/19, I tested this promo code and verified that it works as described. Exclusions apply. 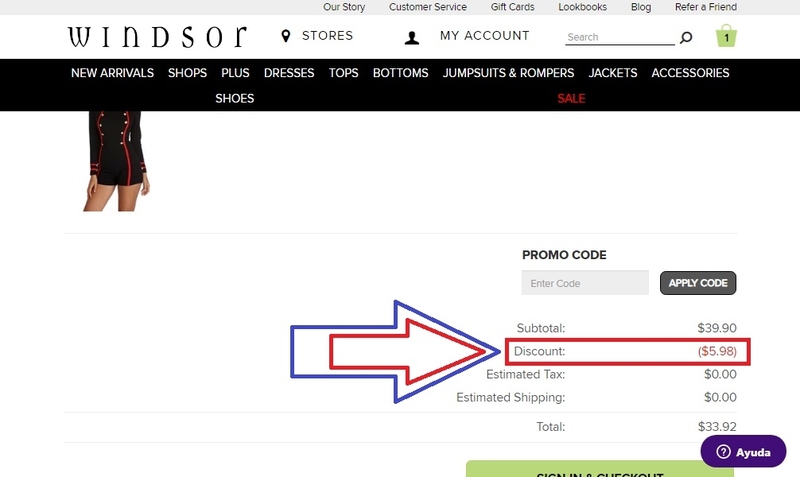 Antonio Marcano I have tested this code and it works as described, place the code at the checkout of Products and enjoy the discount. reinaldo briceño I am validating that this deal works as described, use the promo code at checkout to claim your 15% off. 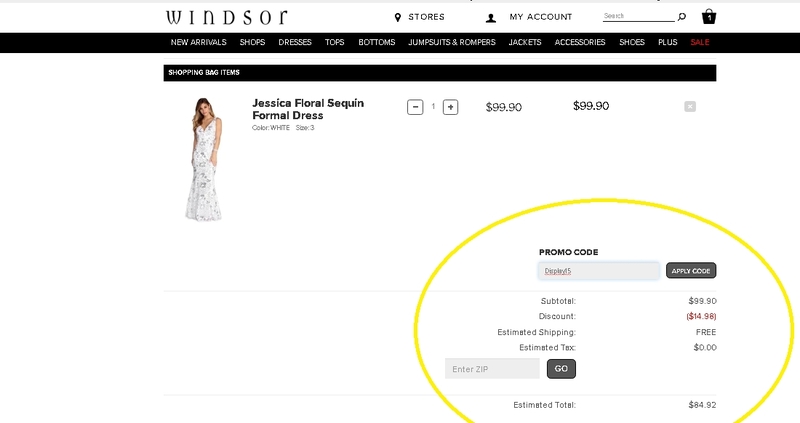 jesus marquez This coupon is valid and working as described. Select your product, go to the shopping cart, enter the promotional code and get 15% Off Your Order. 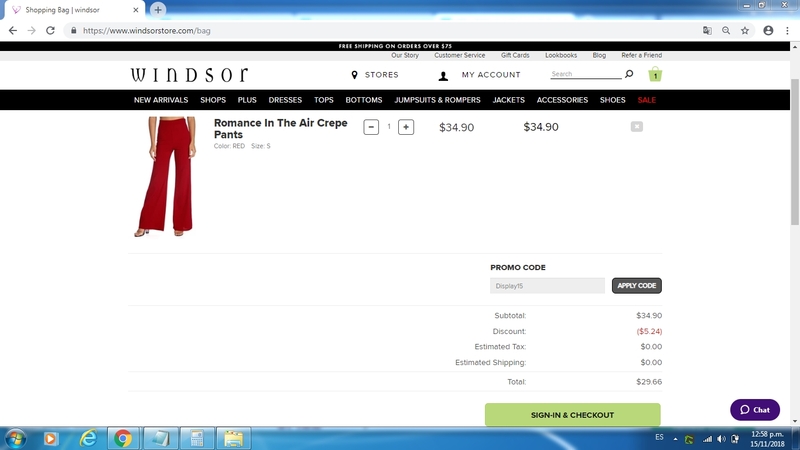 Online Only at Windsor. Joancel Castillo I can confirm that this deal works at described. just choose your desired products to add to your cart and apply the code Display15 at checkout to get 15% off on your order. Hector Gonzalez Tap offer to copy the coupon code. Remember to paste code when you check out.